You are here: HomenextTransportnextTransport - shipsnextCITY OF WESTMINSTER. 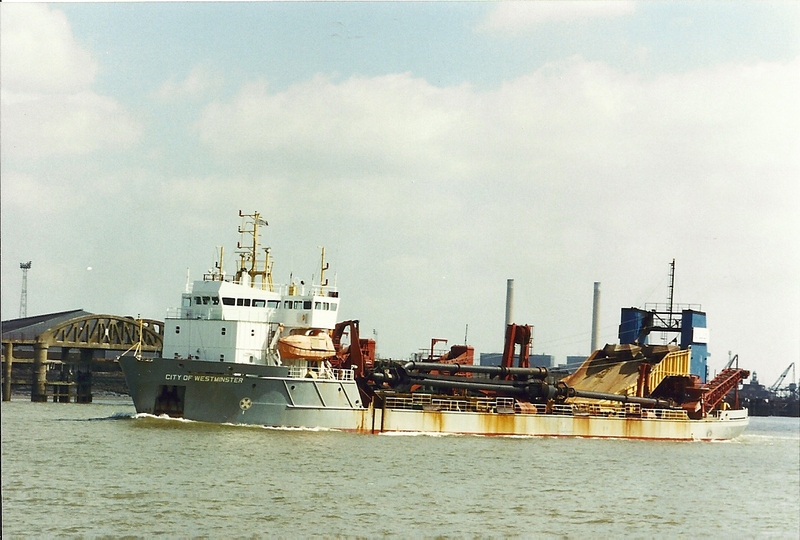 The dredger CITY OF WESTMINSTER in the river. Photo taken 4/97.